Yom Kippur is the Jewish day of atonement. Yom Kippur is the holiest day of the Jewish calendar. It is observed by fasting for 25 hours and spending most of that time in synagogue, in communal and private prayer. The day has the largest number of prayer services of any holiday – five, the first beginning before sunset on the 9th of Tishrei (the Eve of Yom Kippur) and the final one after sunset on Yom Kippur day itself, the 10th of Tishrei. We are also prohibited, during that time, from sexual relations, washing, anointing (with face or hand creams) and wearing leather shoes. our shortcomings and attempted reconciliation with anyone we may have wronged. The central theme of the Yom Kippur liturgy is confession, both individual and communal, and repentance. The special prayer book for Yom Kippur, the makhzor, tells us that prayer, repentance and good deeds can avert the evil decree that G-d may have made against us. 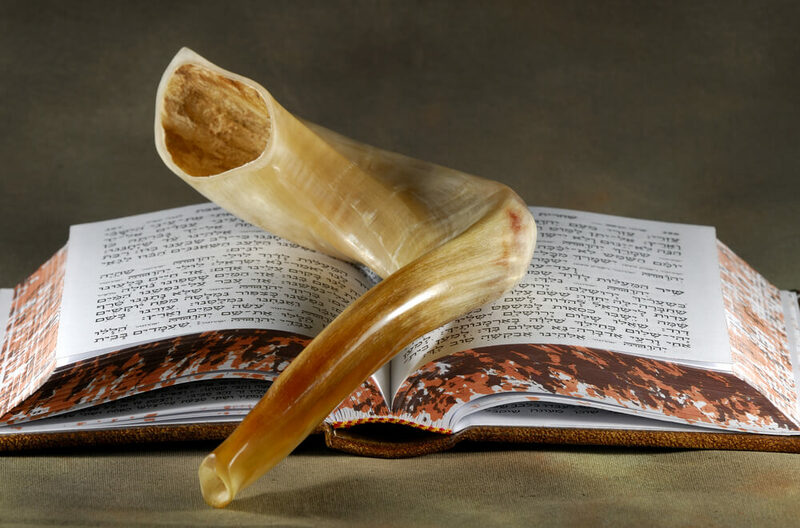 Yom Kippur is our last chance to clear the books at the beginning of the year. On the Eve of Yom Kippur, we eat a sustaining meal and light holiday candles with a special blessing. We go to synagogue for the special Kol Nidrei service, in which we invoke both an earthly and a heavenly court to release us from any unfulfillable vows we may make in the year to come, and invite all those who have sinned to come and pray with us. Two Torah scrolls are taken out and are held by two people, one on each side of the leader, forming the required legal quorum of three. This annulment procedure has been quite controversial over the centuries since it was first instituted, some time before the ninth century C.E. One theory of the origins of its distinctive tune postulates that it was composed during the time of the Spanish Inquisition, when Jews were forced to convert to Christianity to save their lives, but continued to practise Judaism in secret. This dull, legal formula, recited in Aramaic, does not constitute a blanket release from promises, especially those made to other people, but only between the individual and G-d. The beautiful, haunting melody made it into the music of Beethoven, Bruch and Schoenberg, among others. Because the annulment of vows cannot take place on the actual holiday itself, the Kol Nidrei service is held before sunset. To acknowledge that it is not yet evening, we wear our tallitot, the ritual prayer shawls that are only worn during the day. The Kol Nidrei service is followed by the first service of Yom Kippur proper, the evening service, in which we recite the first of ten repetitions of the communal confession, the Vidui.